Host your next event at Banner Island Ballpark! 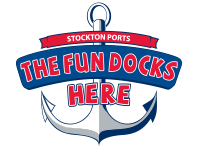 Whether you're looking for a large or small venue, the home of the Stockton Ports can accommodate you. Call (209) 644-1900 to book your event today! When you host your event at the ballpark, you receive access to our experienced event staff. They'll help you with catering options, operational details, and more!